The costumes were placed on display at the museum. There’s an Egyptian art collection on display (= being shown) at the museum at the moment. It’s a wonderful depiction of a female friendship. 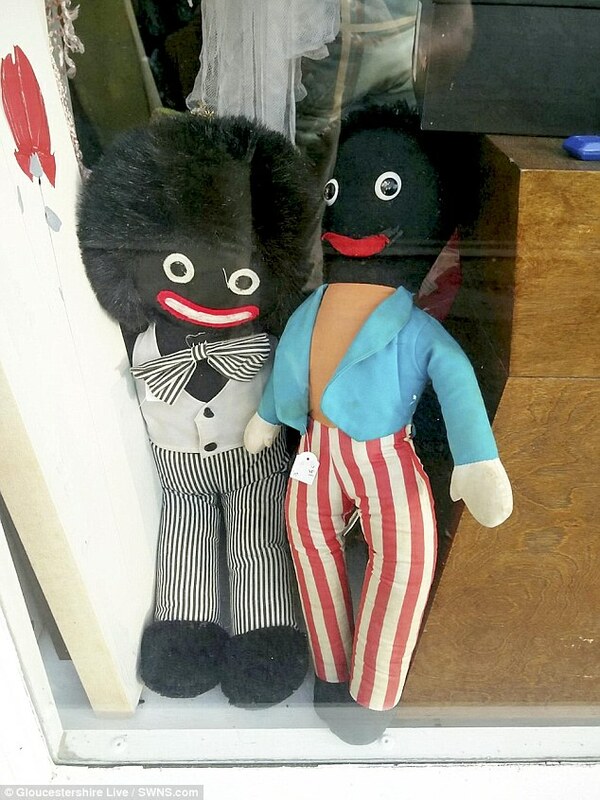 An animal charity shop in the Cotswolds has sparked outrage after putting ‘overtly racist’ golliwog dolls up for sale. 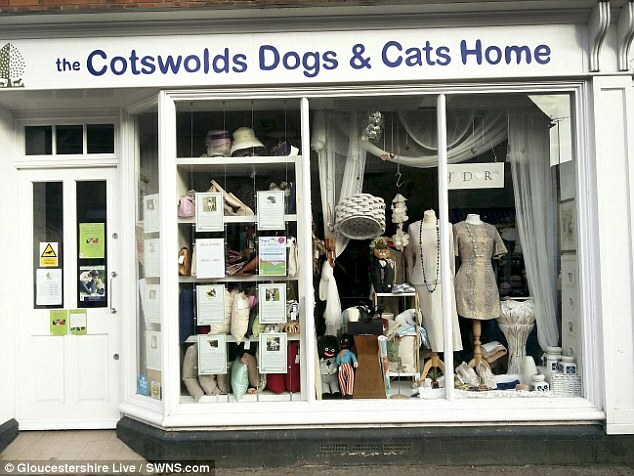 The Cotswolds Dogs & Cats Home shop in Cirencester, Gloucestershire, was given two of the dolls. The doll’s depiction of African people is considered to be racist by many. The displaying of the dolls in the shop’s window has been condemned by the Show Racism the Red Card (SRtRC) charity which said it was saddened to hear that the ‘demeaning’ toys were on sale. There are no overt signs of damage. It was an overtly sexual advertising campaign. We put up some new pictures in the living room. The events of the past week have shocked and saddened us all. It saddens me to think that we’ll never see her again. We are deeply saddened by this devastating tragedy. It saddened me to learn of your father’s death. It was demeaning to be asked to leave because I was dressed informally. You’re a liar, and I won’t demean myself by talking to you. The entire family was demeaned by his behaviour. I wouldn’t demean myself by asking my parents for money. After coming under fire, The Cotswolds Dogs & Cats Home, an affiliate of the RSPCA, removed the golliwogs from its stock yesterday and said they should not have been put up for sale. Graham Waller, 45, had first brought the gollies to public attention after walking past the shop window. He said he was ‘taken aback’ to see the golliwogs on sale given their racist connotations. The instructional designer added: ‘I took a double-take while walking past as I was shocked to see golliwogs on sale in this day and age. Golliwogs were created in 1895 by Florence Upton, who described them as a ‘horrid sight, the blackest gnome’. Our college is an affiliate of the university. The school is affiliated with a national association of driving schools. I walked past several hotels on my way to the petrol station. I live on Station Road, just past the post office. She walked right past me without noticing me. I was a little taken aback at the directness of the question. The news really took us aback. Bill was taken aback by the girl’s directness. The term ’cult’ has heavily negative connotations. Your message could misfire if it carries a damaging environmental connotation. He did a double-take when he saw me standing there. I did a double take – I couldn’t believe it was her. With her hair cut short and dyed red, I did a double take at first. You can’t have people living in these conditions in this day and age! You can’t afford to run businesses inefficiently in this day and age. How do the police handle such disputes in this day and age? What a horrid thing to say! Tom’s always being horrid to me. Cirencester town councillor Jenny Hincks, who represents Watermoor, said she believes, however, that the dolls are a matter of ‘personal preference’. She said: ‘If it does offend someone maybe it would be of benefit for them to go into the shop and ask them to remove it from the window. ‘It doesn’t mean the shop can’t sell it, as that is their prerogative. Personally it doesn’t offend me. ‘I expect there are people who are scared of them. There are people who have strange phobias. SRtRC says the dolls’ large lips, frizzy black hair and traditional minstrel attire are the product of a ‘racist sentiment’. She sketches caricatures of political leaders. I saw a wonderful caricature of the president in the newspaper. It’s the manager’s prerogative to decide who will be employed. 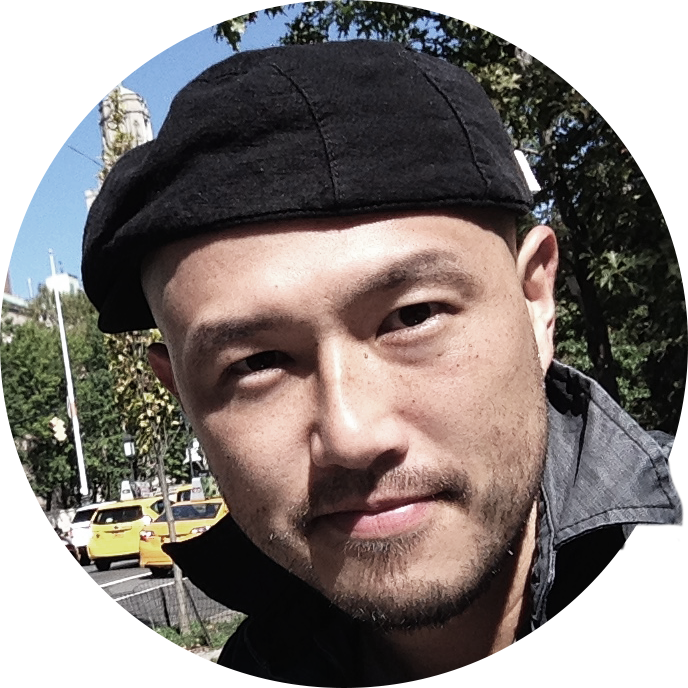 Alex makes all the big decisions – that’s his prerogative as company director. My hair goes all frizzy if it gets rained on. I hardly think jeans are appropriate attire for a wedding. His party had encouraged nationalist sentiment. The charity’s spokesman added: ‘The sale of these dolls perpetuate racism as they hark back to a time when the mockery and stereotyping of black people was considered a social norm. 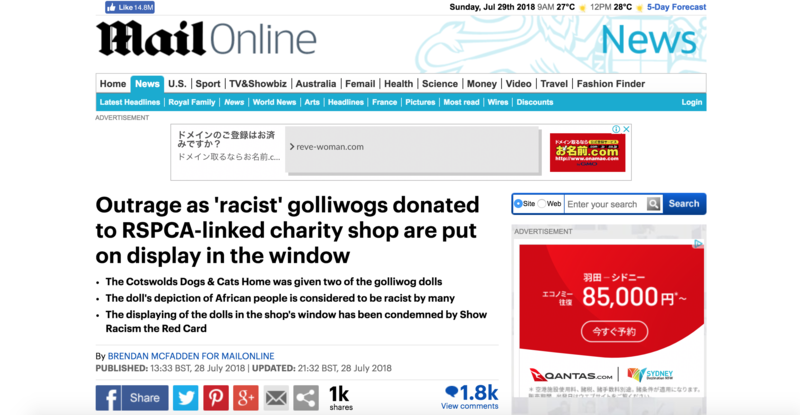 ‘SRtRC urges the public to refrain from buying such overtly racist items and we hope the shop selling the dolls would consider taking them out of the store as one cannot profit on the oppression of an entire community. Mr Waller, of Keynsham, said the dolls do a disservice to the RSPCA’s founding member William Wilberforce, who helped bring slavery to an end in Britain. Kirstin Maycock, who manages the charity shop, said: ‘We would never wish to cause offence when selling a donated item. ‘But our team are always reluctant to commit to the rubbish bin items that are in good condition. ‘However on this occasion the donation should not have been put out for sale and has now been removed from the shop floor and will not be sold. There are nine Cotswolds Dogs & Cats Home charity shops across Gloucestershire. The charity runs an animal rehoming centre in Beechmeadow Farm in the village of Cambridge, near Dursley, Gloucestershire. Current policy only serves to perpetuate the old class divisions. Increasing the supply of weapons will only perpetuate the violence and anarchy. The movie perpetuates stereotypes of small-town life. The aim of the association is to perpetuate the skills of traditional furniture design. They always hark back to what they call the ‘good old days’. He‘s always harking back to his childhood and saying how things were better then. Bill’s mockery of his dad was cruel, but it made us laugh. Each culture develops its own social norms. Please refrain from talking during the lecture. Please refrain from smoking in this area. It’s sickening that somebody would profit from her misfortune. I profited enormously from working with her. She hopes to profit from the experience. Every human being has the right to freedom from oppression. To describe her as just a journalist is to do her a disservice. He is doing himself a disservice by allowing his songs to be so badly performed. Calling him a liar does him a great disservice. Having agreed upon the matter of payment, he brought the interview to an end.